Today’s fun friday fact is about the San Miguel Mission located in Santa Fe, NM. 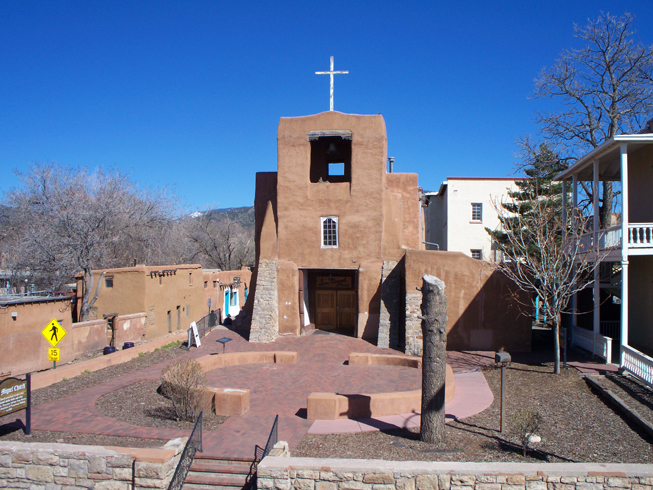 This mission is said to be the oldest Church in the United States and it is located in our beautiful city- Santa Fe. The church is located in Barrio De Analco Historic District. The church was built around the 1600’s and catered to the poor natives in Santa Fe. The church has been rebuilt a few times but the adobe walls are still the original ones from years ago. Here is a video that can explain in more detail how special this church really is. It is a huge part of our Santa Fe culture. We have several vacation rentals that are the original adobe as well! Please visit our website – Adobe Destinations to view the beautiful Santa Fe homes that are waiting for you to rent! Come live like a local in Santa Fe. This entry was posted in Uncategorized and tagged adobe, barrio de analco historic district, barrios, history, missionary, oldest church, poor natives, Santa Fe, santa fe culture, santa fe day, spring, travel, vacation, vacation rentals. Bookmark the permalink.